Perfect Your Nameology by Astrology And Bioenergetics! Faultless Names By Nameology Use Astrology & Bioenergetics! Why Does Traditional Nameology Fail? Nameology gives you Success, only if you cross verify your calculations with Astrology and Bioenergetics. When people blindly do Bookish Numerology, they are bound to fail. Such bookish practitioners do not check astrology and bioenergetics compatibilities while giving names. Check out with Kannan M's Disciple Dr.J.lakshmi Jeya Swaruoopa if your name is correct and if it has these 3 essential compatibilities. 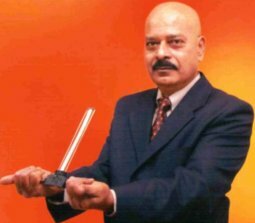 He ensures it with astrology and bioenergetics! First a name should be correct as per name numerology. But this alone is not enough. The name must resonate in good lucky vibrations! There should be no bad vibrations. This can be only ensured by bioenergetics. Is it enough if we check the name only by numerology and bioenergetics? No. You must also verify if the chosen name will definitely be lucky to the recipient. This can be done only by testing with horary astrology. When you check names as per name numerology and bioenergetics you may get 15 or more names with equal merits. But only one from these 15 selected names will pass all the stringent tests by horary astrology. You must choose only that name as the most lucky name. You cannot get the most lucky name by the book methods. This is the difference between bookish numerology and doing scientific name numerology or nameology. In Nameology Judgments you can make mistakes. How do you know that 23 is better than 32 unless you have methods to compare? In today’s practice there is no such method with any conventional numerologists. To ensure perfect name numerology compatibility, you should have fool proof methods to test the Names, measure the Name Effects, compare the Name Numbers of two names, and conclude clearly which one is best. Name Numerology got its Boost, when Mr. Kannan and his disciple Dr.J.Lakshmi introduced Astrology to check the Efficacy of Names & Name Numbers. His method gives the most lucky name, even from 100s of names in the same Name No. Suppose you want name numerology compatibility with the Name No. 23. You can have 100 or even 1000 names in the same Name No. 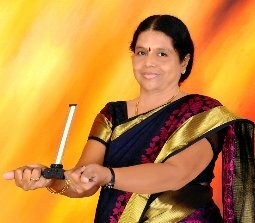 Kannan M"s disciple Dr.J.lakshmi will find which one is the best with her Impeccable Scientific Methods. This New Turn is a Blessing for Name Numerology as it restores its Glory as an instrument for Success! It infuses Hope to those who got defective names from Amateur Numerologists who do Bookish Numerology. Such people who blindly change names do incalculable harm to society. They recklessly change names by Bookish Numerology. These names lack Name Numerology Compatibility and actually harm the recipients. If you suffer Failures due to Defective Names, approach Mr. Kannan M's Disciple Dr.J.Lakshmi Jeya Swaruoopa. She will design a lucky name with perfect name numerology compatibility and also ensure its compatibility with your Astrology and Bioenergetics. When you are ill, you take different tests to find your disease. You do these tests when you recover too, to confirm your recovery. Likewise, you test by Astrology & Bioenergetics to know if your Name is Perfect. Back To Nameology- The Science of Designing Perfect Names!